A few years ago, we set up a 'pie' fence. A rhubarb patch and some raspberry canes--the sort that the locals call "black caps." It wasn't all that difficult, just transferred some brambles and canes that were crowded next to the garage out to the fence. It's worked like a charm, you can no longer see the ugly chain-link fence the previous owners had. The above represents two days worth of picking. 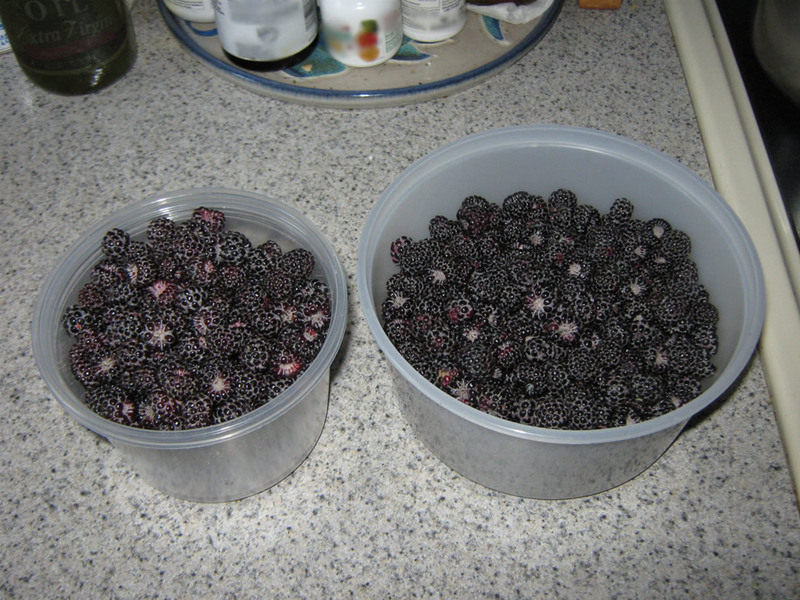 Berries from our own yard... one of the small pleasures of living out of the city. They go really well on ice cream. Interesting the hand position used to handle a fencing foil is virtually the same one used for venipuncture. Thumb on top of the instrument, extending the elbow directly out from the body. Now, how to use my disengage?